Brand New Venue at Llwydiarth Hall, Llanfihangel, Llanfyllin, SY22 5JB. Follow the sat nav to the postcode and then follow the orange arrows to the venue. We have practice Saturday from 10.00 until 3.30 at £25 for adults and £15 for under 16. 20/21ST April - Motul Long Edge Series, Rd 2 Solo & 2 Man Team. Youth & Adult races. - Grewelthorpe, HG4 3DP - All venues are weather permitting. Every event caters for all classes. Catering, full Edge Medical Team, Shop and Toilets at all events. More info can be found on the Edge Offroad website www.edgeoffroad.events or by contacting the Event Mobile on 07557 447084. Round 4 of the ACU Eddys Extreme Enduro Xtreme Enduro Championship. 27th April - CTR Events Race Practice Day:- Open to Anyone that wants to experience a race environment on a marked out Enduro course without the pressure of a race day Just turn up anytime pay and play. Start 11.00 Finish 15.00. Race 1 Auto’s, Fun Bikes and E Bikes 30 Minutes 9am Start. Open to anyone and everyone. Race 2 65-85 SW/BW 75 Minutes 9:30am Start Open to anyone and everyone. Come Onnnn Kids/Youth..!! 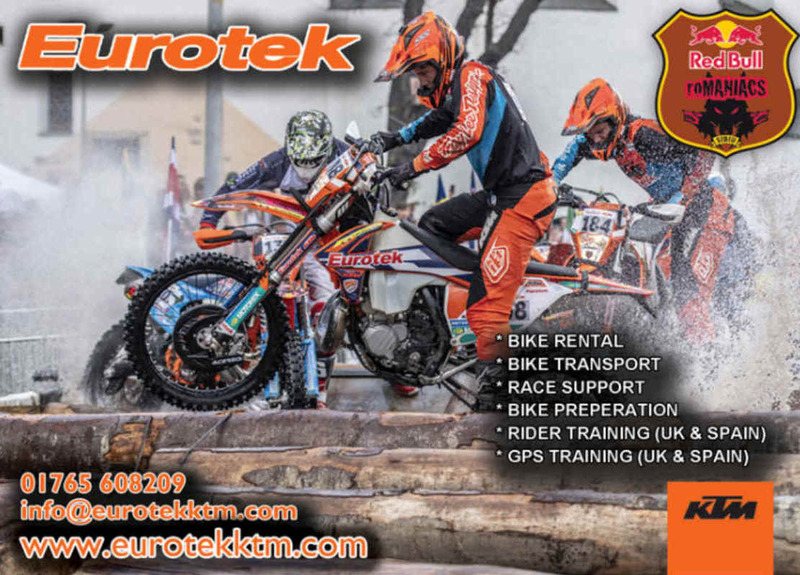 28th April - CTR Events Protect My Income Enduro H&H's Championship 2019 Round 2. The latest event coming your way from RAW Enduro will be staged at a truly iconic venue in Nottinghamshire. Norwood Teversal is a venue which although compact in its layout, it is truly iconic. Norwood was the site of televised scrambles back in the 60's and 70's, the scrambles used to be screened when televised football was cancelled. So what's on? Firstly this event will only run if the weather is good the week before and on race day. Wayne Braybrook is planning a track for this event which will surprise Norwood regulars, recent dry weather means parts of Norwood which have never been used before (should) now come into play. We Kindly ask that ONLY RIDERS arrive to Camp for the weekend. Paddock parking is at a premium at Norwood, we simply can't accommodate caravans and campers from friends of riders at this event taking a potential parking place of a competitor. ONLY CAMP IF YOU ARE TRAVELING LONG DISTANCE. First on track Sunday morning at 8.30am are the youth classes who will run for 90 minutes. THIS youth race is part of the Northern Youth Championship, around 50 Youth riders are expected so enter early folks. Limited Number of ADULT Riders PLEASE ENTER EARLY!!! The adult Sportsman, Sportsman Elite, Sportsman vets, Over 50, Novice and Ladies will start at 10.30am for 2 hours. After a short break for the morning event presentation and results, at 1.15pm the more experienced Expert, Elite Vets, and Clubman will be on track for their event. 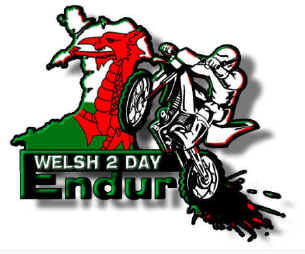 Pay on Day Entries simply text rider details to Wayne Braybrook on 07802 572023. Day licence is available at a cost of £10, or the best value is an annual IOPD licence that costs just £20 for the year. Race 1: Novice/Beginners – 50cc, 50cc Fun Bikes, 65cc, 85cc, Trials Bikes & Fun Bikes (30 minutes). Race 2: Expert Race 1 - 50cc & 65cc (1 hour 15 minutes). Race 3: Expert Race 2 - 85cc s/w, 85cc b/w, 125/150cc, Fun Bikes (1 hour 15 minutes). Awards to top 3 in each class, medals to all other finishers. Marquee – Licenced Bar – Rodeo Bull – Children’s Bouncy Castle, plus Angharad Gough singing live & the Karaoke Kid (all on the Saturday evening) – overnight camping welcome come & join the party! Kindly sponsored by Midshires Catering Equipment Ltd. PLEASE NOTE GREAT PRIZE MONEY UP FOR GRABS!! Classes for – Championship, Expert, Clubman, Over 40’s, Over 50’s, Under 19, Ladies, Sportsman A (regular Sportsman), Sportsman B (newcomers) & Sidecars. 28th April - Track n Trail Freeride Alresford Woods Nr Winchester. This beautiful woodland was a new venue last year, the Freeride track is set in a very large broad leaf woodland with mostly swift meandering tracks some fast rides with big bomb holes and lots of banks and jumps. Track length estimated of 4 to 5 miles. Any tyre. Noise limit 94db. Saturday FED Practice Day 10.00 am until 3.30 pm NEW Venue! All venues are weather permitting. Every event caters for all classes, youth and adult – with one Youth event and 1 or 2 Adult Events. Catering, full Edge Medical Team and Toilets at all events. More info can be found on the Edge Offroad website www.edgeoffroad.events or by contacting the Event Mobile on 07557 447084. With Grass fields, some moorland with no shortage of wooded terrain, Plus, rocky streams beds, some 3rd and 4th gear flowing open going and plenty of air time including a table top jump. We always enjoy putting on this cross country venue with a great land owner and crew. Time: Starts 10am and finishes 3pm. Classes for: Pro, Expert, Seniors, Juniors, Veterans, Novices & Beginners. Full PA System – Top MX Commentator Chris Zora & Leah Yarranton – Licensed Bar – Children’s Bouncy Castle. Here at Desert Rose, we offer friendly, well run, ‘open to all’ events, with an excellent well laid out track, offering exciting racing for all levels of rider set in the heart of the Sussex Country side our Westfield venue (Cottage Lane, Westfield TN35 4RR). You will be able to arrive from 9am, start time in classes 11.30am. Register your interest at info@desertroseracing.com . Saturday 8th June - South Reading MCC Wally Searl Hare & Hounds, Ashdown Farm, Blewbury. Classes Solo Expert, Clubman A, Clubman B & Beginners, see www.srmcc.co.uk for further details. Classes for: Championship, Expert, Clubman, Over 40’s, Over 50’s, Sportsman & Sidecars. The lap will include both motocross circuits at Cwmythig along with nearby fields. 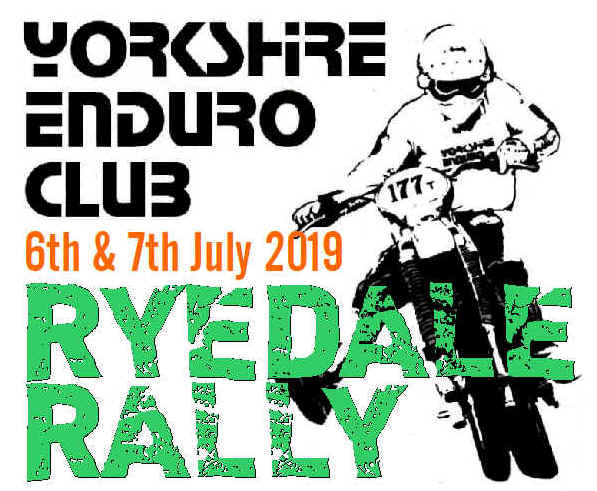 6/7th July - The Ryedale Rally is go again for 2019!! The event will once again use the new start area in the new location of East Ayton which is only a few miles from Scarborough thus increasing the accommodation possibilities for the riders. Organisers have been out recently scouting out new routes for this years rally. Hopefully we can gain some new going if the Forestry and National Parks people play ball. There'll be the usual free camping in the start finish field. There will be free food on Saturday night and a pub within walking distance. Classes for: Championship, Expert, Clubman, Over 40’s, Over 50’s & Sportsman. The lap will include several man-made & natural hazards. Eg. Logs, Tyres, Rocks etc. July 30 - August 3. 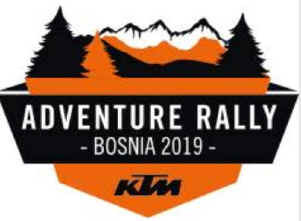 2019 - Red Bull Romaniacs - The world's toughest hard enduro rallye. In city Prologue and then 4 all day off-road days with a mixture of hard enduro and long enduro rallye tracks. Compete in mainland Europe's last wilderness, the Carpathian mountains where the bears and wolves still inhabit the mountains and forests. Saturday 3rd August - South Reading MCC Jack Stocker Hare & Hounds, Ashdown Farm, Blewbury. Classes Solo Expert, Clubman A, Clubman B & Beginners, see www.srmcc.co.uk for further details. Green Hall Farm, Llanfyllin, Sy22 5LG. Sunday 8am start , 6 hours to complete the 65mile lap with bronze silver and gold finishing points to make it easy for riders to commit to the event secure your place with a £50 deposit via www.dirtbike-action.co.uk and £50 payable at sign on . 18th August - Brinks Hare and Hounds. The moorland event that gives you everything. Fast and flowing, hills, single track, wide open blasts, bogs and off cambers. Hugely popular and worth the drive from anywhere! Massive 7.5 mile lap. Entry info will be posted on the club FaceBook page nearer the time. If you've never been, check out any of the YouTube clips. 22nd September - Devon TRF - Cotton Farm Fun Day - DTRF have used thid venue in the past, but not for some years. Great location, we'll be laying out a route for all abilities, with some harder stuff for those that want it! We're also going to be bringing in/constructing a few man made Enduro style obstacles for any who are keen to try, or the possibility of a good laugh watching for those that aren't! Classes for: Pro, Expert, Clubman, Over 40’s, Over 50’s, Sportsman, Ladies & Sidecars. Large Marquee – Live Entertainment – Licensed Bar. 24th November - Muntjac Enduro - Diss MCC’ - Thetford Forest - Final round of the GH Motorcycles ACU Eastern Enduro Championship.